Though perceptions may tell you otherwise, buying into a premium brand tractor may not be as expensive as you think. Wes Crawford of Essex-based Agco dealership Crawfords talks to Geoff Ashcroft about fixing the cost of ownership. Wes Crawford has seen a gradual shift in the type of customer his business now deals with, compared to those who helped his father Bob to establish the RW Crawford dealership in 1980. As a result, he says there has been a huge take-up of repair and maintenance (R&M) plans, plus extended warranties – all with the emphasis on fixing costs during the period of ownership. The Fendt 724 Profi Plus is the most popular Fendt model sold by Crawfords. It is also the base-spec onto which the firm chooses a selection of popular extras. And having the ‘right’ tractor in stock becomes much easier to manage customer expectations compared to a four-month lead time on a bespoke factory order. “Profi Plus is a generous standard specification,” he says. “It comes with a 10.4in Vario terminal, telescopic mirrors, and a host of additional standard spec that helps to maintain a strong residual value. “We also have a ‘Crawfords spec’ and every 724 we order from the factory has a specification that is specific to Crawfords. It includes Comfort front linkage, LED light pack, pressure relief spools and three-point cab suspension,” he adds. He says such an approach translates into buying confidence, for a wide range of customers. 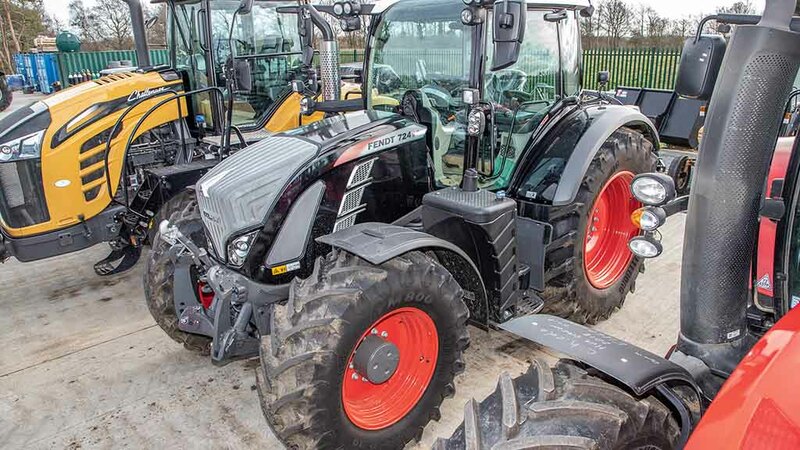 And with Fendt tractors that are looked after with warranty and R&M packages, Crawfords can offer finance plans for up to seven years duration. “Most of our Fendt 724’s are sold with a five-year warranty,” says Wes. “It helps to maintain a strong residual value and gives us the option to revisit the deal when the tractor is three to five years old, and look at an early trade-in. Armed with a fleet of 28 mobile technicians, Wes Crawford says the location of its depots and vehicle telematics, helps it to be no more than one hour away from customers. He accepts that many growers operating higher horsepower tractors are operating with smaller tractor fleets. “There are a number of growers with a high-dependancy on one big tractor, so we need to be in a position to respond quickly,” he says. “And by building a warranty and R&M package into a deal, customers will get on-time servicing, preventative maintenance and free software updates so they can continue to get the best out of their tractor purchase,” he says. “Without it, servicing becomes a less-known cost and software updates will then need to be bought. 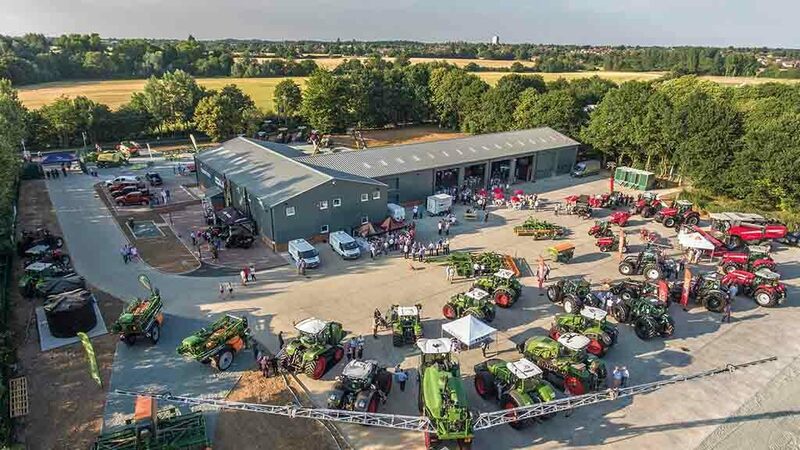 Crawfords has recently opened a state-of-the-art depot at Writtle, Essex. 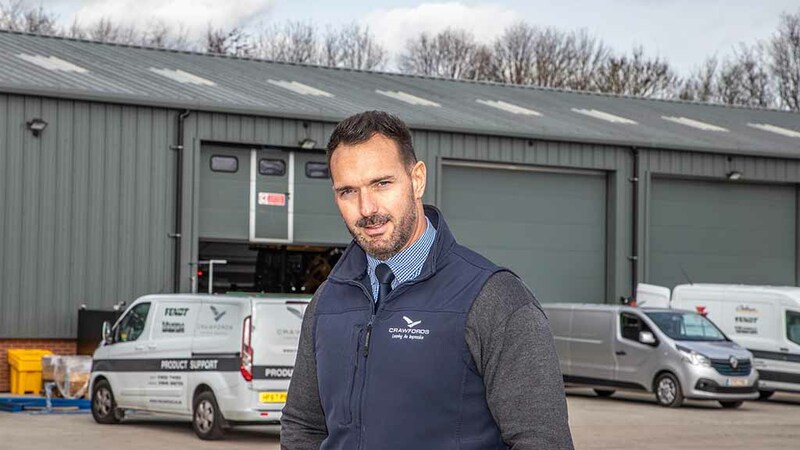 Built on a three-acre greenfield site at a cost of around £3m, the new depot boasts a footprint of 1,765 square metres, of which over 800 square metres are allocated to a six-bay workshop. 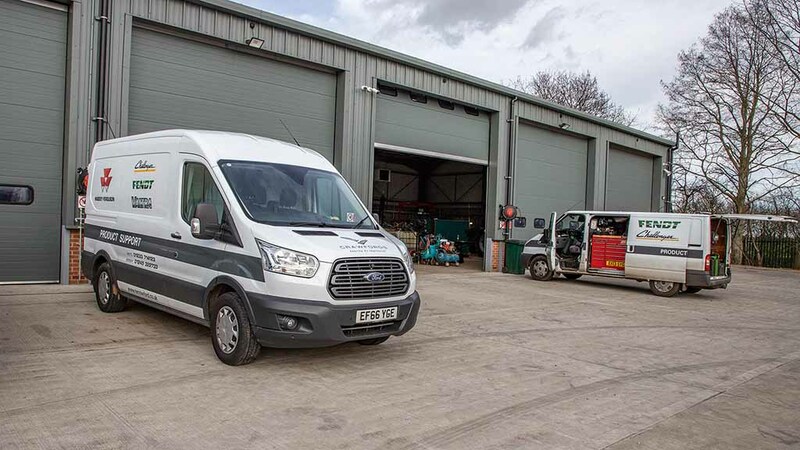 Crawfords expanding area includes Kent, which is serviced through its Charing, Ashford depot, and the firm has recently taken over the area previously serviced by John Seale, and will see a third depot opening this year in Billingshurt, West Sussex. The new workshop space affords room to work on up to 12 tractors and sufficient height to house combine harvesters, inside the workshop. Tractors being traded-in are passed through the workshops, where they can be assessed and prepared ready for its next owner.